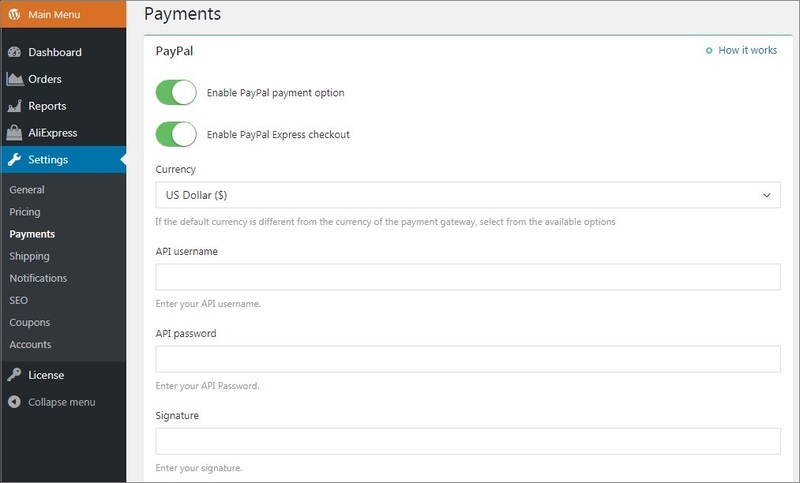 To start offering PayPal at checkout, you need to set your PayPal API credentials and enable this payment option in AliDropship plugin settings. Visit your PayPal account and go to Profile and Settings. Proceed to My selling tools. Find API access option and click Update. Go to Custom checkout experience -> NVP/SOAP API Integration (Classic) -> Manage API credentials. Enter your API username, API password and Signature.